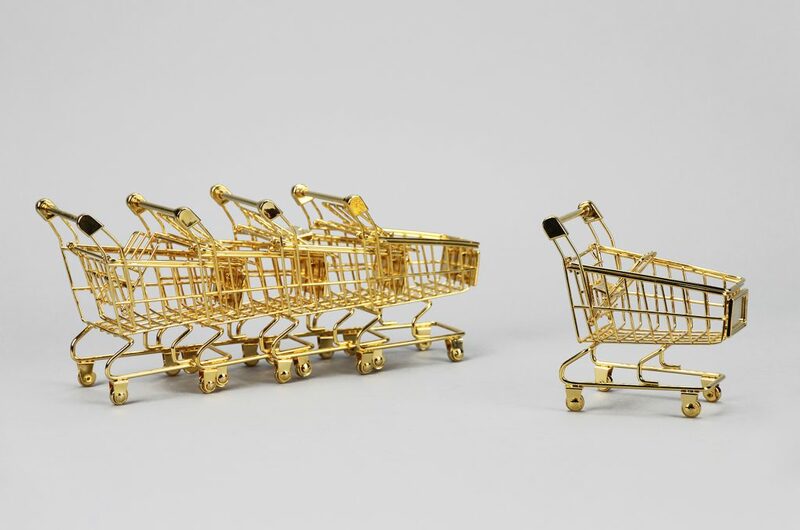 The Gold Cart is a fully articulated 18k gold-plated mini shopping cart sculpture. 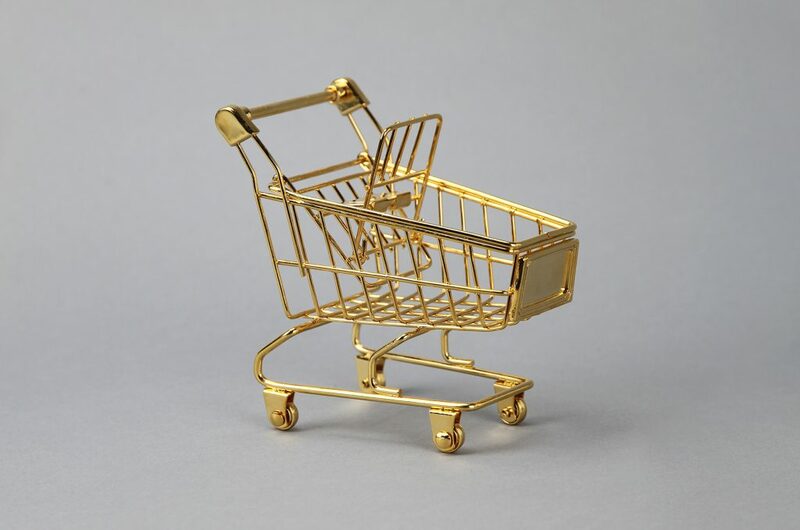 It can be used as a business card holder or for any small treasure. It is a lot of fun in a group of five, yet is quite charming on its own.